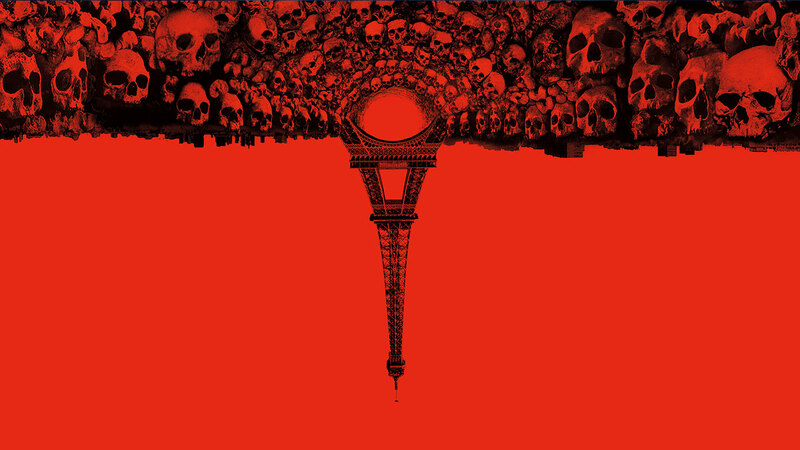 Reader Review: As Above So Below (2014) – Hooray For Movies!! The following review is courtesy of one of our most regular readers Regan. Always a pleasure to get contributor reviews so if you ever want to send something for consideration please email us via our Contacts page. I’d seen the trailer for this movie and had to watch it. I wasn’t disappointed. So many horror movies can leave you with a bitter taste in the mouth but not this one. The acting might be a little over the top but the story line and location carried the movie. It is set in the catacombs under Paris and the female lead, Scarlett, played by Perdita Weeks, is a very well educated and extremely bright archaeologist obsessed with carrying on her recently deceased fathers work. For Scarlett finding the Philosophers stone, which her father had hunted for all his life, until taking his own life, will help Scarlett prove her fathers theories on alchemy correct and reinstate his preeminence amongst his peers. She risks her life and reputation finding the Rose Key in Iran and then travels to Paris where she persuades an equally accomplished scholar and a team of cataphiles to help in her search for a hidden chamber within the catacombs. Their decent begins and after crawling through a narrow tunnel which collapses, they find themselves before a door that the cataphiles are reluctant to breach, as the only people who have gone through, have never been seen again. Unfortunately there is no other option…da da da daaaaa! And so the terror begins! The dark claustrophobic tunnels and strange supernatural occurrences lead them deep underground and as they cross a threshold into a space not of this world it appears that their only way out is to go down deeper. The stressed and tense glances and heavy breathing is heightened by the small spaces they must squeeze through and only to be met on the other side by lonely spirits sat or ideally walking the dark tunnels in wait. For me it was more eerie than shocking, more subtle than course, but thankfully it didn’t stay with me like the Japanese version of The Ring or even that red faced demon in insidious. Like I said, some of the acting was a little over done and as the film progressed I had as little care for Scarlett’s life as she did. Her blinding obsession and disregard for her own life left you feeling sorry for the poor bastards that she’d roped in and little empathy for her. She was a necessary evil though for although she was the reason they’d all found themselves fighting for their lives, she was their only way of escape. This didn’t in anyway ruin though the ending which was probably the best I’ve seen in a while. Conclusion: I don’t think you will be disappointed.